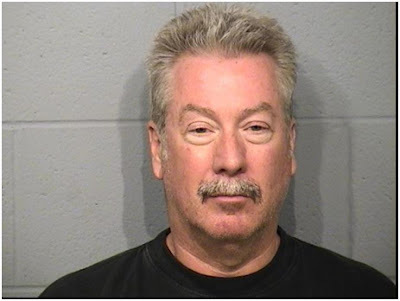 CRIME, GUNS, AND VIDEOTAPE: Am I For Or Against Drew Peterson? Los Angeles—Yes, I do serious criminal defense investigations along with other endeavors. When I’m retained to work on a defendant’s behalf I’m on the side of exploiting reasonable doubt and mitigating despicable acts that people do. I prefer the matters where a client is innocent any day and there are an abundance of them to handle. If I’m retained on a criminal case I cannot also blog about it. No defense lawyer would allow that and when it was discovered any judge would impose one of those rare gag orders. The defense attorneys would be very unhappy about that. As for those high profile criminal cases I showcase here are for the most part matters where reasonable doubt and serious questions of innocence are very real. Private investigators like me exist for one simple reason; people lie and do so freely even while under oath in courtrooms. That includes government witnesses and people designated by police as victims. Our job is to learn the truth for our clients so it can be exposed to civil and criminal juries. Whose side am I on when I write about retired police sergeant Drew Peterson or record producer Phil Spector? That’s an easy answer. I’m on the side of the presumption of innocence, Due Process and fair trials. That in no way makes me a political Liberal. I subscribe to the concept that it’s better that we let a dozen killers go free rather than destroy the life of one innocent person. Every day in America, prosecutors have been getting more frightening laws passed that make convicting innocents easier. They are done under the bogus disguise of “Victim’s Rights”. Closer examination reveals there is little for victims but sneaky ways to admit hearsay evidence or to inhibit or prevent solid defense investigations. Victims and witnesses have no stake in the outcome of criminal trials. The accused have their entire lives on the line even if they face only a few years behind bars. Criminal trials are held for only three reasons. One is the defendant is innocent and demands his day in court or two, that the state has a really week case. The third is where the prosecution has demanded the maximum penalty such as death or life without parole and the defendant has nothing to lose by making the government prove their case at a trial. Most criminal cases are settled in plea agreements with the defendants getting a bargain in the process. Criminals could shut down the whole system in a single day by all demanding a trial in unison. The entire system would collapse and never recover. I’m on the side of Freedom where the Secret Police can’t just arrest people and make them disappear. I’m on the side of Liberty where we don’t punish everyone for the criminal acts of a few. Many people would rather hold trials by gossip. Whoever screams the loudest or puts on the best show wins. That worked for the Taliban but it won’t work for me. I refuse to apologize for my support of our entire Bill of Rights. Agreed -- your defense of innoceence-presumption does not make you a liberal. It's what used to make conservatives. I'm an old guy. I can remember when we would not only support our local police but also defend liberty both abroad and at home. Then it became "conservative" to want law and order -- or maybe just order, when the law interfered with order. The new conservatives knew what was wrong -- any non-prescribed drug use other than alcohol and caffeine, because we had bought all three all our lives. And then we knew hip-hop, caps on "backwards," and low-rider jeans constituted probable cause, because we didn't grow up with that. Back then, it was the liberals who said you've got to break a few eggs to make an omelette -- today, that's how the new conservatives expect laws to be enforced. So are you and I now liberals? Hell no. Are new conservatives conservative? Same answer. Criminal trials are held for only three reasons. One is the defendant is innocent and demands his day in court; or two, that the state has a really weak case. The third is where the prosecution has demanded the maximum penalty such as death or life without parole and the defendant has nothing to lose by making the government prove their case at a trial. We got all three of those in the Scott Peterson case: He WAS innocent, the state had ZERO evidence of guilt and the state wanted the death penalty (or rather the prosecutors did so they could get promoted).